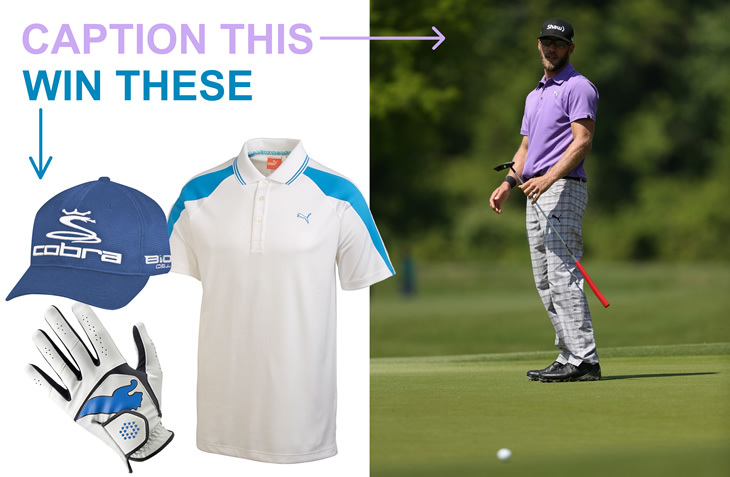 To celebrate Graham DeLaet joining the Cobra Puma team, he is making his first appearance in our Cobra Puma Caption Competition. Caption this photo of him staring down a putt and win some colour-coordinated Cobra Puma goodies. I should have gone to Specsavers that ball looks blurred to me! The entry selected as the winner by Golfalot will win the prize indicated. The winner will be notified by email to the email address included on the winner's entry form. Lost and delayed entries will not be accepted. No responsibility is accepted for lost or delayed entries. Only one entry per person permitted. Any breach of these rules will result in the entry being declared null and void. Golfalot will not pass this information on to another third party.